Windows 10 has presented an opportunity for VMware and Microsoft to collaborate and work on their co-opetition. At VMworld 2016, the company launched its unified endpoint management (UEM) for Windows 10, merging the benefits of enterprise mobility management and PC lifecycle management as a single solution. Support for the Windows 10 Anniversary Edition and Windows Server 2016 will be a part of the company’s core virtualisation platforms – VMware Fusion and VMware Workstation. In specific, VMware Fusion 8.5, Fusion 8.5 Pro, VMware Workstation 12.5 Player, and Workstation 12.5 Pro will all have support for Windows 10 Anniversary Edition and Windows Server 2016 built-in to their versions. This builds on the companies’ collaboration, which was announced at VMworld 2015. Both companies joined forces last year for Project A2 – a solution that handles management and application delivery for Windows products. 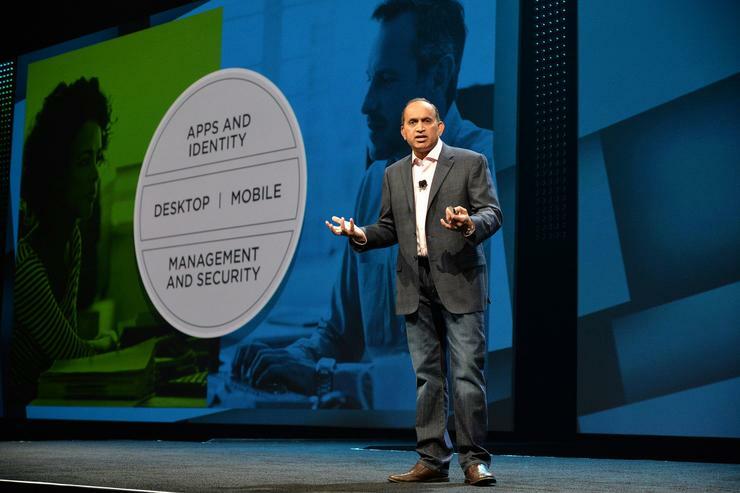 VMware executive vice-president and general manager of end-user computing, Sanjay Poonen, said the UEM strategy includes three elements including endpoint security, endpoint management, and software lifecycle automation. “This will extend current Windows 10 management with PC lifecycle management capabilities. “This includes configuration management and provisioning, software distribution, operating system patch management and client health and security management to fundamentally change the endpoint management paradigm using a modern, mobile Cloud platform,” he said. Poonen mentioned that VMware UEM aims to lower the total cost of ownership of Windows 10 so that organisations will not have to purchase multiple endpoint management tools. “We believe there is an incredible opportunity to push identity-driven secure digital workspaces for the delivery of any application on any device. “This is especially true as businesses shift to Windows 10 and increasingly offer Cloud-based productivity suites such as Office 365 to employees," he added. According to Poonen, VMware and its partners will not charge existing customers to upgrade to the new versions and won’t charge them for receiving Windows operating system support. The VMware Fusion range will also get support for macOS Sierra. Hafizah Osman is attending VMworld 2016 in Las Vegas as a guest of VMware. Read more: VMworld 2016: VMware remains "stable" amidst "turbulent waters"